And on the seventh day, they retracted. Fox News had dug in its heels hard. But its much-ballyhooed “brand new bombshell”—an evidence-free claim that a Democratic National Committee staffer was murdered last summer because he leaked thousands of Democratic Party emails to WikiLeaks—had completely fallen apart by Tuesday. I can’t say that was much of a surprise to me. Ten years ago, Rod Wheeler, then styled a “Fox News crime analyst,” appeared on the “The O’Reilly Factor” to report that “all over the country” hundreds of gangs of pink pistol-packing lesbians were terrorizing victims. “Well, you know, there is this national underground group, if you will, Bill, of women that’s lesbians and also some men groups that’s actually recruiting kids as young as 10 years old in a lot of schools in the communities all across the country,” he said. It was quite a tale, and, O’Reilly milked it for all it was worth. After all, Fox was never much on LGBT rights, and a shocking story of scary lesbians terrorizing right-thinking Americans from coast to coast was titillating indeed. It was also entirely false. Shortly after David and Susy confronted Wheeler and we published their story on our blog, I wrote a memorable editor’s note to accompany the article. There were no apologies or retractions from Fox. Rod Wheeler stayed on as a paid network contributor. Of course, at the time, Fox News wasn’t recovering from the Roger Ailes sexual harassment scandal, wasn’t in shock over the firing of Bill O’Reilly in his own harassment brouhaha, and its owner Rupert Murdoch wasn’t desperately trying to win approval from British regulatory authorities as “fit and proper” in his bid to buy the Sky satellite and cable network in Europe. Back then, Fox essentially followed a no-apology policy for its many false assertions. It was happy to pay the Rod Wheelers of the world for their sensational “reporting,” even if, in the case of Wheeler, his pink pistol claims followed by another baseless assertion just four months earlier. The reference was to Chandra Levy, the young government intern who was murdered in Washington in 2001. Levy’s case took many wild turns, including the revelation that she had been having an affair with a congressman. But Wheeler’s claim that her murderer’s name might be in the “little black book” containing the names of thousands of Deborah Palfrey’s clients came to precisely nothing. Incredibly, Wheeler was back on Fox News talking about the Levy case just last August. This time, again without a shred of evidence, Wheeler suggested that Levy’s killer might have been a man who had pleaded guilty earlier in the year to the abduction, sexual assault and murder of two Virginia college students. The latest case involving Wheeler began on May 15, when he told Fox Washington affiliate WTTG-TV he had sources at the FBI linking DNC staffer Seth Rich, who was murdered last July, to Wikileaks. “Absolutely,” Wheeler told the station for its story. “Yeah. That’s confirmed.” Saying he’d been hired to look into the case by a third party on behalf of the Rich family, he claimed there was evidence on Rich’s laptop that he was communicating with Wikileaks. He said that the laptop was in official custody and that there was a police cover-up. It wasn’t until later in the week that Fox News discovered the FBI never had access to Rich’s laptop at all, so Wheeler’s claims were once again entirely false. Hannity wasn’t the only one hawking the story. The same day, Lou Dobbs used his Fox Business Network show to say that Wheeler had “corroborated” the claim that tens of thousands of emails and attachments had been sent by Rich to a representative of WikiLeaks. He also cited a non-existent FBI “forensic report” on the laptop. In fact, the laptop remains in the possession of the Rich family. Of course, that can’t be much of a surprise either. Dobbs, a former star in CNN’s daily lineup, is known for his entirely false 2005 claim that 7,000 cases of leprosy had been reported in the U.S. in a recent three-year period—one of the “deadly imports” that immigration brings. In fact, officials said then that there were fewer than 250 new cases of leprosy a year. Dobbs had taken the claim as fact from Madeleine Cosman, an extremist who told an audience earlier in 2005 that “most” Latino immigrant men “molest girls under 12, although some specialize in boys, and some in nuns.” Cosman had no expertise in medicine or immigration. Wheeler, meanwhile, was backtracking fast, much as he did with his pink pistol fairy tale. Among other things, he now claimed that he couldn’t link Rich to WikiLeaks—and that a WTTG reporter had told him of the connection before they went on air, and Wheeler was only repeating what he had been told. And then there was Republican former House Speaker Newt Gingrich, another paid Fox contributor. Last Sunday, he went on “Fox and Friends” to elaborate on Wheeler and Hannity’s claims. “We have this very strange story now of this young man who worked for the Democratic National Committee, who apparently was assassinated at 4 in the morning, having given WikiLeaks something like 53,000 emails and 17,000 attachments,” he said. Gingrich made the attraction of the story to the far right crystal clear. If a young DNC staffer leaked the Democratic emails during the presidential campaign last year, then it can’t have been the work of the Russians. In other words, despite what U.S. intelligence says, the story of alleged collusion between the Russians and the Trump campaign to damage Hillary Clinton must be false. On Tuesday, Fox finally relented, retracting its print story. It said nothing about the claims by Hannity, Dobbs, Gingrich and other Fox employees. Presumably, Fox retracted its story because it has suffered so much bad publicity in the last year. Now, Roger Ailes has died, O’Reilly is gone and Dobbs, while not gone, is relegated to the relatively unknown Fox Business channel. And Rupert Murdoch, who owns 21st Century Fox—the parent of Fox News and Fox Business—is trying to obtain approval for his long-sought purchase of the Sky network, in which he already owns a minority stake. Bad press about dishonest practices in his Fox empire could easily derail Murdoch’s application. Fox has changed in some small ways, as its retraction suggests. But these changes appear to be a matter of surface appearances, not a real attempt to correct the rancid hysterical and fact-free “news” culture that has dominated Fox from the beginning. Take Sean Hannity. After Fox retracted the story, he announced that he had “retracted nothing.” Then, on Monday, he accused “liberal fascists” of trying to silence him after a former guest accused him of sexually propositioning her (Hannity denied the claims). It was particularly bizarre given that the guest, Debbie Schlussel, is hardly a liberal. In fact, she is a Muslim-bashing ideologue—and frequent guest of Fox News. 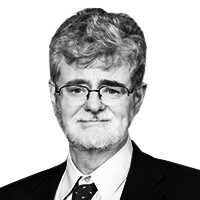 Mark Potok is an expert on the radical right based in Montgomery, Ala. Now at work on a book, he was an official of the Southern Poverty Law Center, a civil rights organization known for monitoring the extreme right, for 20 years.